Here we are! Have you entered Day 1's Giveaway yet? You can enter to win a pair of Marathon socks from ProCompression here. These chews are BRAND NEW! So new, I just ordered a package myself to try before I actually gave them away! A single package of Fruit Drops contains 10 drops, at 16 Calories a piece for a total of 160 Calories or 40 grams of carbohydrate per package. But Smitha, there are a GAZILLION "energy" chews out there. What is special about THIS one? First, check out the drop itself. They are coated with salt and not wax. Not messy. And the taste? Not too sweet. Gives you the sodium you need! I can't decide which flavor I like better. The raspberry or orange. Either way, you know that the ONLY flavoring used in these is the actual fruit. These aren't the sickly sweet "gummies" you are used to. I am really excited about using these in my Marathon training journey! So, I am giving you a chance to win some goodies from Skratch. The package will include 4 of each flavor of chews and a couple surprises selected by me. Enter on the Rafflecopter widget below! No purchase necessary. Void where prohibited. 1 winner will be selected via the Giveaway widget. Open to Residents of the US 18 years of age or older. Must have a non P.O. Box mailing address. Winner must have a valid email address. Winner will receive a prize package from SD Mom and Skratch Labs Energy Chews. All winning entries will be verified. If a winning entry cannot be verified as completed, a new winner will be drawn. 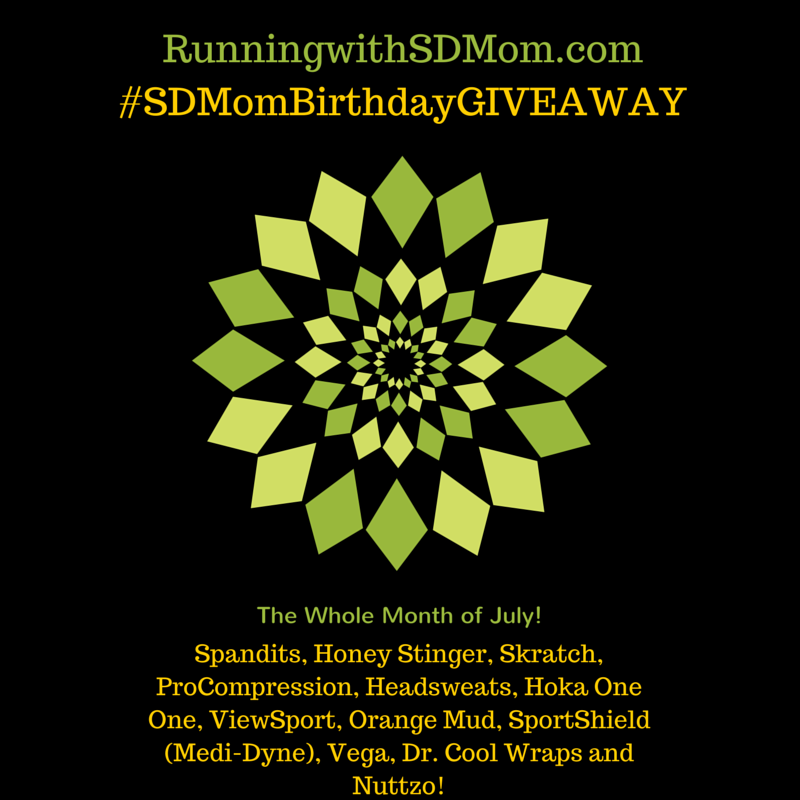 Winner will be provided the prize directly from SD Mom. Substitutions unlikely but may apply. Good Luck! I am so excited to be sharing all my favorites with you! You will LOVE these chews! What do you use for nutrition now? I currently use Honey Stingers which work great for me! I'd love to try these. I think I'd prefer Raspberry! 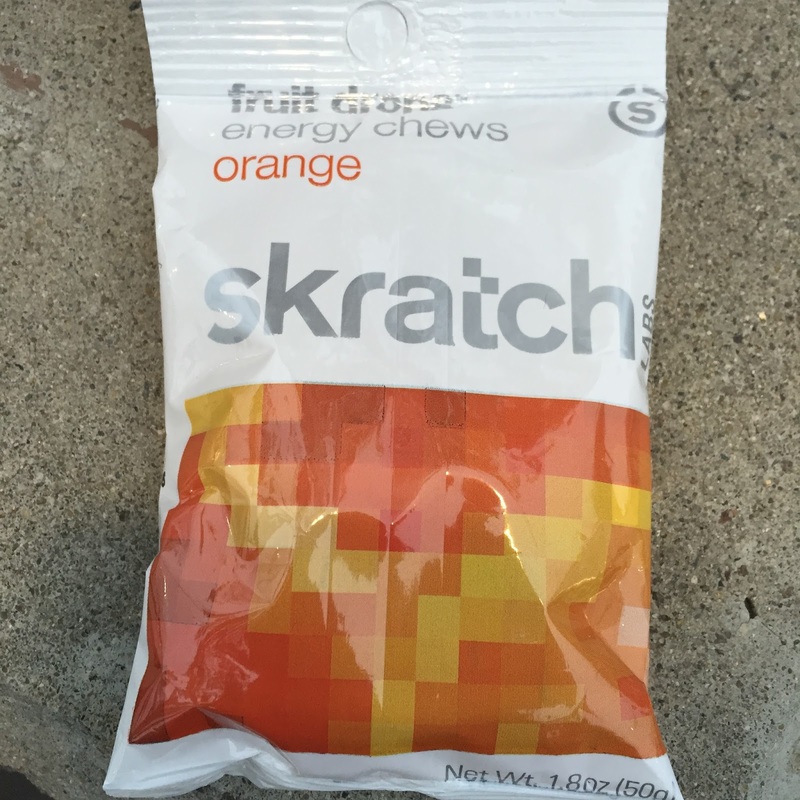 I use Honey Stinger gels/chews to fuel my long runs, but I've heard really good things about Skratch. I prefer raspberry over orange. I am currently using Carb Boom energy gels, but would love to try the raspberry chews! Not as messy, I'm sure! Sorry if this is a double post, but I am not sure if my computer did something weird. I currently use Jelly Belly Sport Beans as my fuel for long runs. I usually prefer raspberry over orange. I either use Pocketfuel or I have been trying out different chews during marathon training...these seem like they'd be a great option! I'd definitely pick orange, had a bad experience with raspberry flavored vodka in college, haha! I currently use Honey stinger chews. I'm getting tired of them and need a change. I like orange better than raspberry! I just tried these for the first time this week, and was very happy that they aren't so sweet. I'd love to try other flavors too! On my long runs I currently use GU Gels and Honey Stinger Waffles. I've used various chews in the past as well. I'd have to choose orange over raspberry as a flavor, though nothing used to be a blue raspberry ICEE. I just tried these chews for the first time this week and love that they aren't too sweet. I've used honey stinger chews in the past but am always looking for new flavors. I use Gu for long runs and races. Salted caramel is my favorite. But if love to try other options. Raspberry is my pick. I've tried Clif Shot Blocks. I'd love to try these SkratchLabs Chews in Orange! I use PowerGels during runs and shot blocks during rides. Always love trying new things. i currently use a combo or a lot of products, looking for the go to one! and raspberry! I currently use Clif gels. And always go for raspberry! Gu, but I'm open to new things! I've used the powerbar chews before, they have a raspberry flavor that is delicious! would love to try these raspberry ones too! 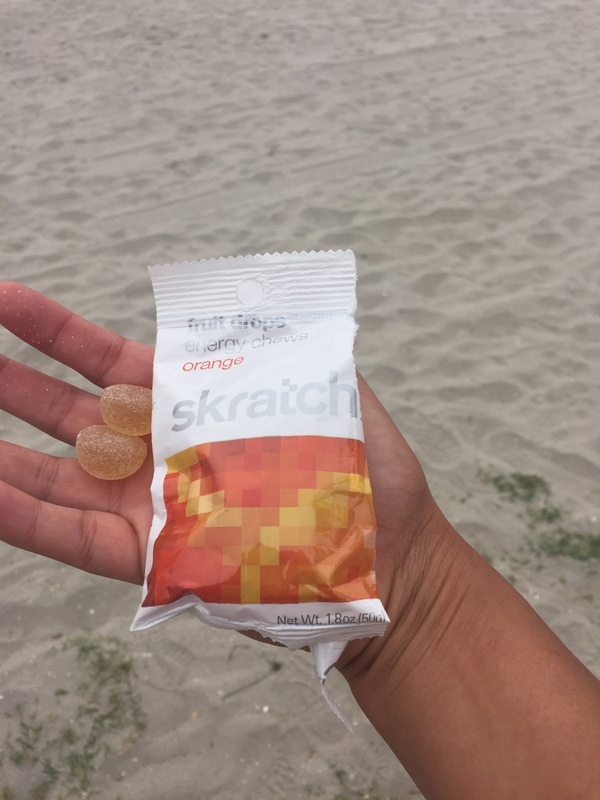 I tried these Skratch chews at an expo and........OMG! they are fantastic! I really need some more though. Definitely raspberry for me!! Oooo, I love the idea of salt being on the outside. I currently use Honey Stinger chews or Cliff. I would love to give these a try. I currently use Sport Beans, but would love to give these a try! I usually prefer Orange to Raspberry. I usually eat a variety of nuts and raisins for long runs. I think I'd like the orange better, but raspberry would be worth a try too! I prefer orange! I use gu gels! Orange or Raspberry - they both sound great! On my walk/run training I have been using Stringers. Would love the raspberry flavor. I currently use Nuun and Gu. I like Orange. I use GU but I would love to mix it up with the raspberries! I typically use GU or Honeystinger Chews. I tried a sample of the Skratch chews and I really liked them. They taste like gumdrops! I use gu for long runs but I love trying new things. Raspberry sounds the best! I have been using Honeystingers. I would like to try the orange. I prefer raspberry. I currently use Gu and gummy bears along with Nuun in my water. I usually use Gu or sports beans for energy during a run. I'd definitely choose orange. I would love to try the orange flavor. I haven't used any during-the-run nutrition since I only run half marathons or shorter distances but would try this. 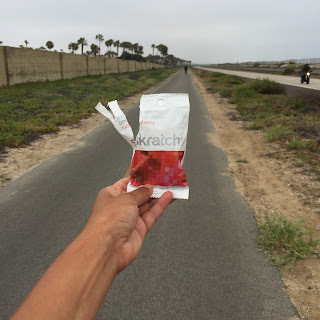 I use Skratch hydration mix for long runs. I've been a fan since last year. For gels I like Honey Stinger brand. I also love gummy bears. (But have to hide them from my 4 yr old!) Fig newtons are great too, but don't exactly pack small. I didn't know Skratch made chews! I'm much more partial to chews than flavored powder mixes and can't wait to try them! I usually use Gu, but would be very interested in trying this product. I use the Honey Stinger chews and I love them! I do like the "real food" aspect of these chews! I'd like raspberry better.